The following originally appeared in the May 30, 2009 edition of the Tooele Transcript Bulletin. It wasn’t my most embarrassing outdoor moment, but were I not alone, it might have been. And it might have gone mostly unnoticed too, if it weren’t for those nosy kids, who just had to ask why I came staggering back to the van soaking wet and barefoot. I suppose my Pavlovian conditioning to running water and my often quixotic zeal for symbolism were partly to blame for the mishap. But in my defense, the little jaunt along Spring Canyon creek was impromptu. And who could have known that the creek’s grassy bottom was actually a whole foot deeper than it looked? I don’t usually embark on adventures wearing flip flops. 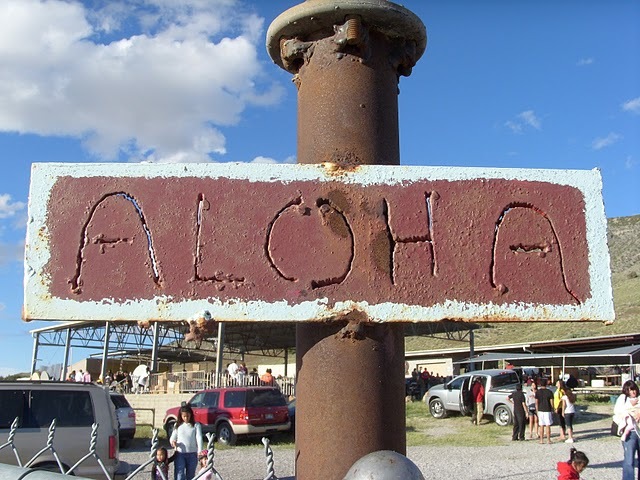 That is, unless I’m heading out to Skull Valley for the annual Memorial Day weekend celebration at Iosepa, where I spend most of the day in a lawn chair watching Polynesian dances and snacking on Spam musubi. Correction: Where I spend most of the day convincing my young sons not to try to catch the snakes they find on Salt Mountain and trying to keep their baby sister from stealing Tootsie Rolls from other kids’ candy leis. 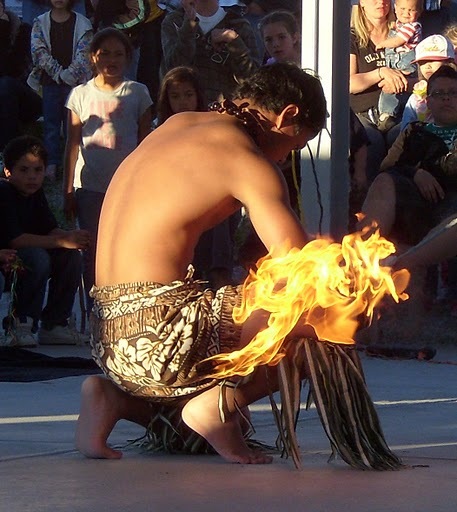 Actual moments spent watching Polynesian dances and snacking on Spam musubi are few and far between. Still, the day never calls for more than flip flops. 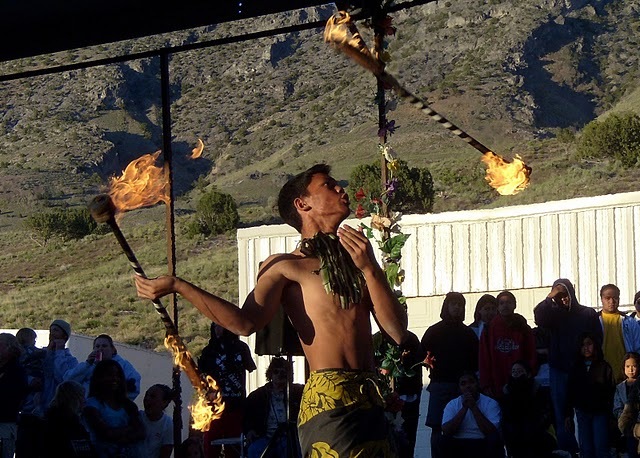 The festival’s tangible Aloha Spirit makes me feel like I’m actually in the islands. There are many reasons these people feel so strongly about this place. About 50 of those are the tidy, decorated graves a few feet to the west of the modern cement pavilion. There lie the Mormon pioneers who left the islands to gather in Utah and eventually settle this seemingly inhospitable corner of the desert. 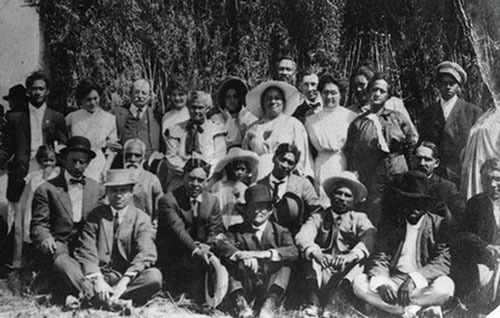 In 1889, a committee of returned missionaries from Hawaii and three Hawaiian converts began looking for a suitable place for Hawaiian immigrants to gather together and thrive economically. 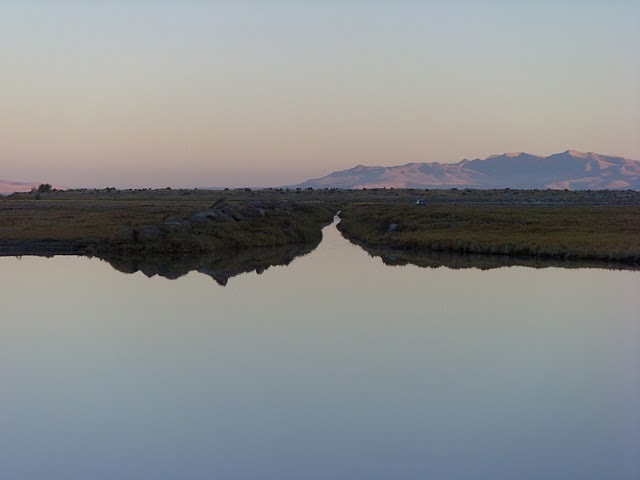 After considering various properties, the committee decided on the 1,280 acre Rich Ranch in Skull Valley. Despite the seemingly cruel desert environment, the more it was considered, the clearer the choice became. According to the committee’s report, the deal included exclusive rights to five streams flowing from the Stansbury Mountains which, when collected and conveyed by a single ditch, equaled “one quarter or one third of the waters of City Creek.” The property also included a number of large springs, one of which formed a large fish pond. The streams and ponds already supported an established ranch, thus eliminating much of the guess work. The new colony, called “Iosepa” after LDS missionary to Hawaii Joseph F. Smith, would expand on an existing and proven framework. 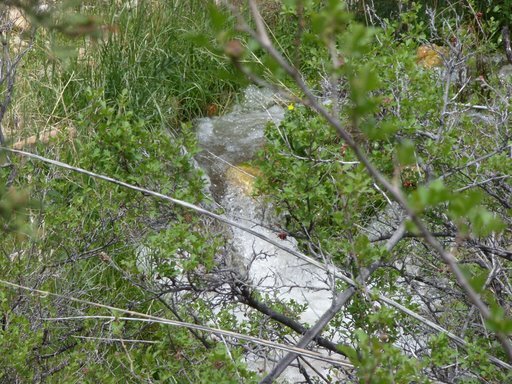 Some confusion exists as to the extensive irrigation system built to exploit the Stansbury streams. The committee report suggests that at least a primitive system was extant before Iosepa’s settlement. According to State University of New York at Potsdam archaeologist Benjamin Pykles, who began an archaeological study of Iosepa last year, dates inscribed in cement on some of the aqueduct ruins prove that some work was done on the system after the Hawaiians left Iosepa. The real innovation, however, came during Iosepa’s boom. Pykles says the pressurized irrigation system, complete with fire hydrants, was part of a project that culminated in 1908. The area’s natural water sources also provided food and recreation. According to a BYU Master’s thesis by Dennis Atkin, the Hawaiians enjoyed fishing and swimming in the larger pond, which they named “Kanaka Lake.” They even grew proficient at catching carp by hand. This was done by this was done by sneaking up behind the fish, gently stroking them along their sides, then grabbing them by their gills. Historical accounts describe frequent celebrations at Iosepa honoring their cultural and religious legacy. Carvings of sea turtles and palm trees in a large rock slab on Salt Mountain are wistful reminders of their island heritage. Most of the Hawaiians left Iosepa to return to the islands after plans for a new temple on Oahu were announced in 1915. By 1917, Iosepa was a very well-irrigated ghost town. But the rows of tents and trailers at the festival last weekend were proof that Iosepa is still adored even a century later. The sky was cloudy, the air humid and uncharacteristically still. The setting couldn’t have been more perfect. Members of the Iosepa Board helped children scrub and hollow gourds to make traditional instruments called ipu. Bridger, 7, and Weston, 6, then headed for the hills with their friends. 3 year old Coulter nursed a cup of shave ice and 2 year old Ella climbed on the stage to dance. 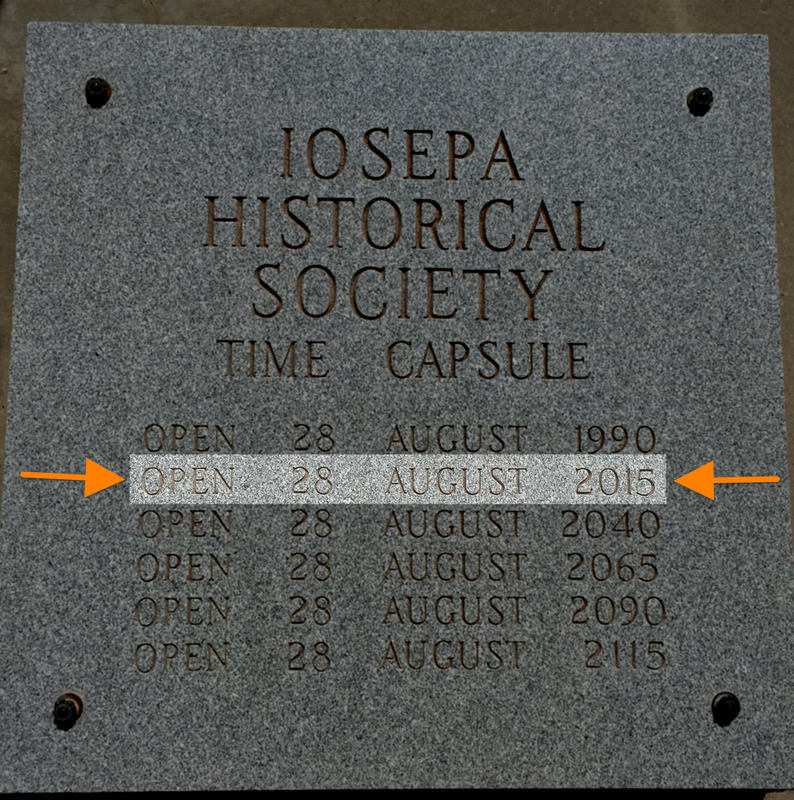 As we drove away late that afternoon, I decided to search out the old aqueduct system that allowed Iosepa to thrive. BLM archaeological papers detail each ruin site, and we began driving along one of the diverted streams. When it became clear that reaching the aqueduct ruins would require 4WD, we followed the road until it met the stream. At least I’d be able to dip my foot Iosepa’s life blood. While the kids had lunch at the van, I walked over to the stream, whose bed was so densely vegetated that I was barely able to see it. The only way to get close was to actually step into the rushing water. That’s when I lost my right flip flop. I stepped in with my left leg to stabilize myself. That’s when I lost my left flip flop. That’s also when I slipped and fell. “So, you’re saying you just…lost them?” Bridger asked, annoyed and confused. “Yep, they’re gone,” I replied. Ella tapped her ipu and shot me a reassuring smile. The symbolism quota for the trip had been met, albeit in clumsy fashion, and it was time to say goodbye to Iosepa for another year.